The GP2X version is the latest release with many changes over the original GP32 version including; new design and layout, touchscreen, music, sfx, highscores and more. 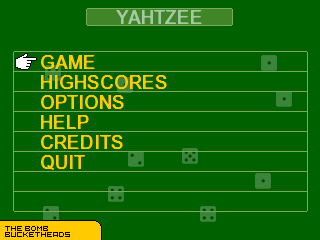 Yahtzee features upto eight players simultaneously with highscore saving in single player mode. 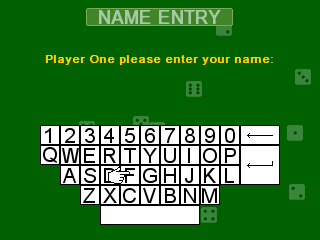 It also features custom backgrounds and the option to change the various text colours to match a new background if you want to use your own. 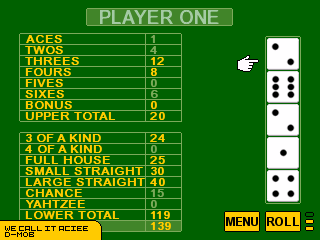 The Zodiac version of Yahtzee is pretty much unplayable as its an unfinished game. 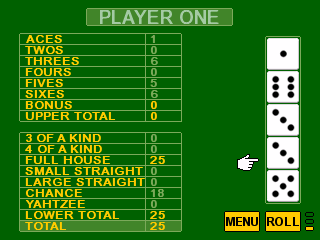 Other console versions are fully playable.